Take the pan off of the heat, add the dry couscous, stir, and cover for 10 minutes. Line a roasting pan with foil for easy cleanup. Coat foil lined pan with olive oil add vegetables and toss with oregano, salt and pepper. Roast in the oven for 15 minutes or until lightly browned, stirring every 5 minutes. Stir almonds and raisins into couscous. 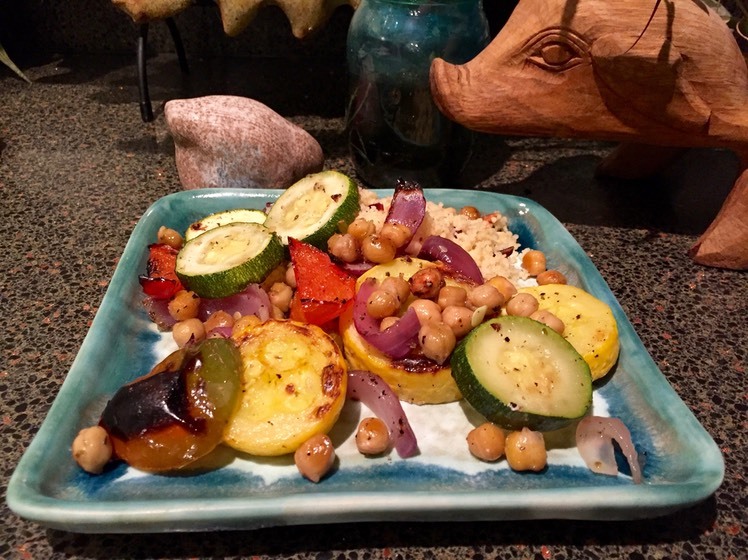 Place on a large serving platter and top with roasted vegetables.